The Targetvision bulletproof warranty will protect your shooting camera for 2 years from stray shots while at the range. Whether you have your DOPE wrong (which we know never happens...) or your neighbor decides to see what happens when he shoots that little box downrange, we have you covered. Under this warranty, Targetvision will repair or replace any target camera system purchased along with this warranty that has been shot while at the range. Simply ship your Longshot camera systems back to us (you pay the shipping to us) we'll fix it like new, then ship it back to you. 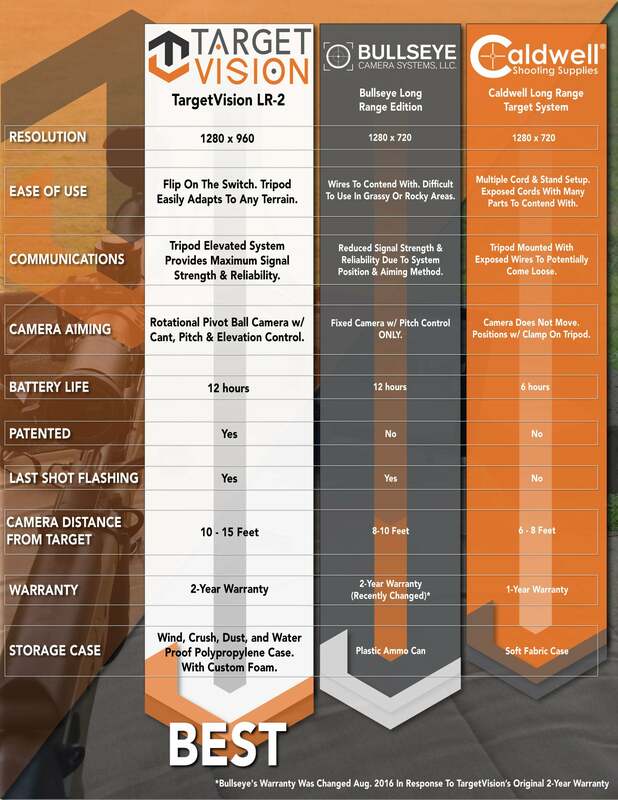 Each TargetVision Bulletproof Warranty applies to only one camera. If you purchased a multi-camera system, you will need to purchase one warranty for each target camera. If you purchase fewer warranties than shooting cameras, they will apply in order of the camera numbers (1 warranty applies to camera 1, 2 warranties will apply to cameras 1 and 2, etc.). Hope I don't need to use the Bulletproof Warranty but it gives me peace of mind. Shooting long range there is always a chance of hitting the camera. My range is in my back yard. It is 276 yds long for now. The elevation is about 150 feet. So I bought a 3 camera system,so I could set the cameras at 100 yds,200yds ,and 276yds. It was to hard to use a spotting scope going back and forth when site in scopes.I have had several friends come and set up there rifles for hunting and they liked the cameras.Because everyone could see. 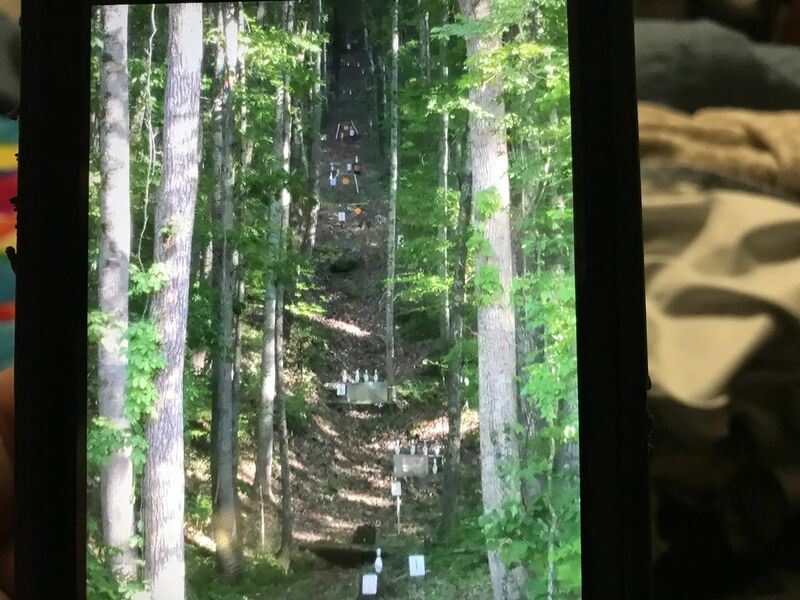 It was faster , they could see very easy where they shot. I have just added the lad radar to my setup.These two systems work great together. I think one of the best things is shooting by yourself see where your shot hits with ease. Thanks for this wonderful product. After reviewing this type of product from other systems currently available, felt the strength of customer support and available application offers made this the item to select. Package and options were shipped within 2 business days. Well packed in a very convenient transportable case. Upon reviewing instructions, set up time was less than 5 minutes. Color image resolution tested between 4' - 17', nighttime IR worked flawlessly. Battery life equals or exceeds 15 hours. NiMh batteries.